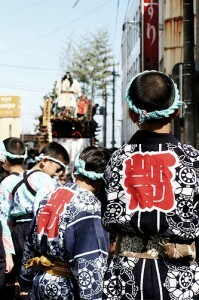 Japanese cotton bands tied around one’s head are called hachimaki. They are worn for special events to raise one’s motivation and show determination. Hachimaki are used for agitate events, such as sports festivals, Japanese drum performances or martial arts. Also, examinees wear it to concentrate on his/her study. 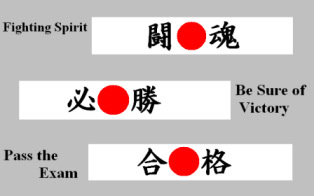 Hachimaki are often written words; for example, toukon (fighting spirit), hisshou (be sure of victory) or goukaku (pass the exam). History of hachimaki is said to bate back to 3rd to 4th century but they were named “hachimaki” after 12th century, when bushi started to wear them under their armors.